Each Thursday through the season, we will share a weekly round-up highlighting our NXT players having success at the high school level. In addition to following us here on our NXT Watch Blog, check out our @nxtlcboys feeds on Instagram & Twitter for daily updates. - Matt Marker, NXT 2018: Exploded for 5 goals and 3 assists in an opening win against Liberty. Marker then had a huge game scoring 6 goals and 2 assists in beating rival Parkland 14-12. - Adam Ritter, NXT 2018: Had a goal in a loss to Pennsbury. Ritter then had 2 assists in a 13-3 win over Roman Catholic. - Mitch Moyer, NXT 2019: Had 3 goals and 3 assists in a win over Delaware Military Academy. Watch Highlights and an interview with Moyer here. - James Reilly, NXT 2018: Had 1 goal in a 11-6 loss to Calvert Hall. Reilly then went 14 of 23 facing off with 1 goal in a 10-9 OT loss to Boys Latin. Reilly then went 13 of 13 facing off in a loss to LaSalle. Watch Reilly hidded ball trick here. - Mike Leschinsky, NXT 2020 & Liam Gilley, NXT 2019: Watch highlights here. - Owen Banavitch, NXT 2018: Had 2 goals in Great Valley’s 6-3 opening win over Methacton. Banavitch then had 1 goal and 1 assist in a 14-0 win over Oxford. 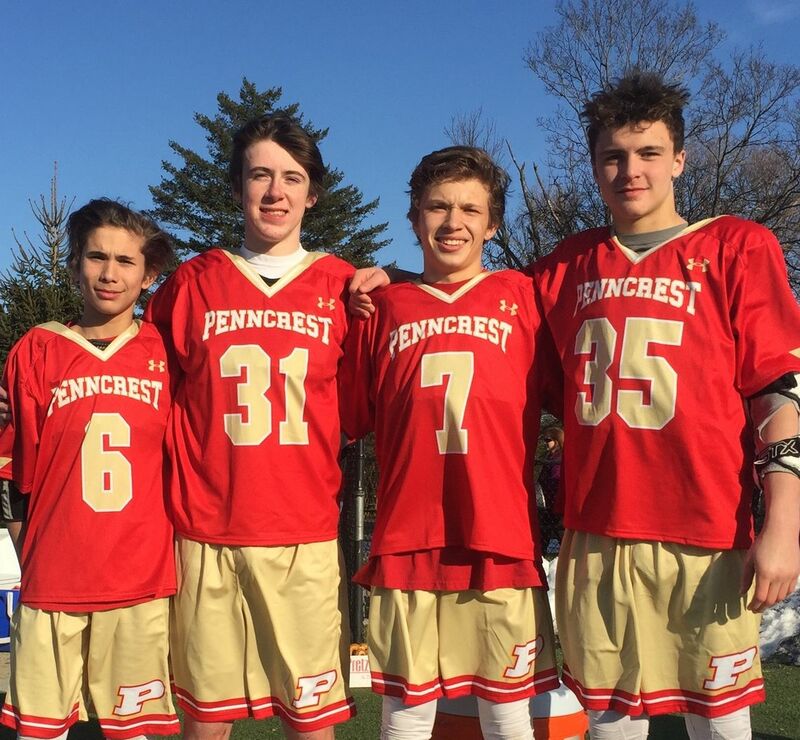 - Ben Tishgart, NXT 2020: Went 13 of 17 facing off in a 9-7 win over Methacton. Tishgart then went 12 of 17 facing off in a 8-7 OT win against Plymouth-Whitemarsh. - TJ Malone, NXT 2018: Had 4 goals to get Haverford’s first win of the year against nationally ranked McDonogh (MD). Malone followed up that performance with 3 goals and 2 assists in a 12-8 win over Maryland power Gilman. Malone then had 3 goals and 1 assist in a 11-6 win over St. Paul’s (MD). Malone continued his busy week with 2 goals and 1 assist in a 16-7 loss to Culver Military Academy. - Cam Aksu, NXT 2019: Had 1 goal and 3 assists in a 22-4 win over York Catholic. Aksu then had 1 goal in a 11-5 loss to Wilson. Aksu bounced back with 1 goal in a win over Garden Spot. - Grayson Dague, NXT 2020: Had 4 goals in the opening win. Dague had a 2 goal and 2 assist performance in their win Wednesday. - Matt Heuston, NXT 2019: Had 1 goal and 2 assists in the win. Heuston had 1 assist in the loss to Wilson. Heuston then had 1 goal and 2 assists in their Garden Spot win. - Bryce Witmer, NXT 2019: Had 6 goals and 1 assist the win against York Catholic. Witmer then had 4 goals against Garden Spot on Wednesday. - Zach May, NXT 2019: Had 8 saves in a 16-5 win over Harriton. May then had 6 saves in a 11-4 win against local rival Abington. - Ian McAnally, NXT 2019: Had 1 assist in a win over Twin Valley while limiting their offense to 1 goal. - Chris Mockaitis, NXT 2019: Had 2 goals in an opening 9-3 win over Springside Chestnut Hill. Mockaitis followed up with a 1 goal effort in a 8-3 win over Conestoga. - CJ Lane, NXT 2021: Had his first high school career goal in a 14-6 win over Kennett. Lane then had another goal in a 10-7 win over CB South. - Ryan Dickson, NXT 2018: Had 2 goals in a 9-6 loss to Strath Haven. Dickson followed up that performance with a 3 goal, 2 assists effort in a 9-8 loss to St. Anne’s Belfield. Dickson then had 2 goals and 1 assists in a non conference loss to Lawrenceville (NJ). Dickson also had 1 goal in a 4-3 win over Garnet Valley. - Matt Nevells, NXT 2020: Had 1 goal in a 16-3 win over Quakertown. Nevels added another goal in a 8-5 win over Wissahickon. -Trey Pompetti, NXT 2021: Had 2 assists in a 16-2 win over Sun Valley. Pompetti followed up that effort with a 2 goal, 2 assist performance in a win over Archbishop Carroll. - Shane Stevens, NXT 2020: Had 5 saves in the win against Sun Valley. Stevens then had 12 saves against Carroll. Stevens had another 12 saves in a 9-4 loss to CB West. - Steven Woolery, NXT 2021: Had a goal in the Sun Valley win. Woolery then had a goal in the win over Carroll. - Jackson Birtwistle, NXT 2020: Had 4 goals and 3 assists in an opening win over Spring-Ford. Birtwistle followed up that performance with a 3 goal and 2 assist effort in a 11-4 win over Wissahickon. Birtwistle then had 2 goals and 1 assist in a 7-6 OT loss to Downingtown East. - Drew Brown, NXT 2019: Had 1 goal and 1 assists in the win. Brown then had 3 goals in the win against Wissahickon. - Jerry Bardol, NXT 2018: Had 2 goals, 4 assists, and 3 ground balls in a win against Cardinal O’Hara. Bardol then had 3 assists, and the game winning overtime goal against Unionville. NXT box teams closed their winter with a winning record at the Philadelphia Indoor Lacrosse Championship (PILC) making the success of the program both rewarding and encouraging for local players. NXT is excited to announce a collaborative project with Myers Brothers Lacrosse (MBX) under which NXT will power operations for the Fall Southern MBX Showcase & Training Camp. NXT, the nation’s leading lacrosse event management company, will take over all off-field aspects of event operations effective immediately. Both recently named to the Team USA U19 staff, the Myers brothers will develop the curriculum and lead the on-field coaching efforts. New to the fall 2019 lineup of high school events, NXTsports unleashed Level Nine, a freshmen-only one-day event hosted at a five-turf facility.